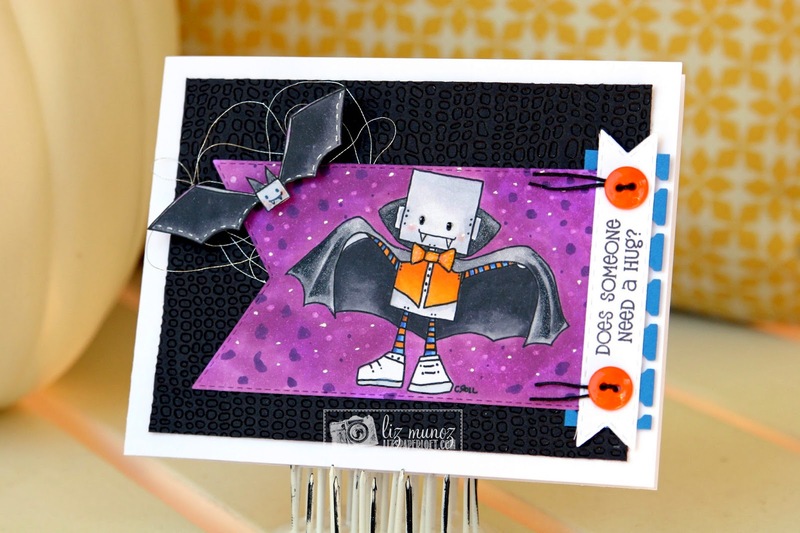 Liz's Paper Loft: Online Card Class Copics ~ Need A Hug? I hope you're having a happy Saturday! This past two weeks I've been taking a copic class, trying to gain more knowledge and expand my creativity. :) I've learned so much and having tons of fun too! So with that said I will be posting several today. Such a sweet vampire and bat...too cute to be spooky :D Great coloring job! Love the purple. Liz ~ UGH this is ADORBS and your coloring is AMAZING!! LOVE everything about it!